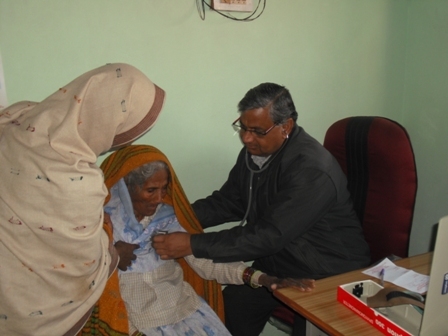 After visiting the clinic in Vrindavan, India, and seeing the wonderful work that the charity are doing, Yogaprema wholeheartedly supports the Sri Radhe Seva Trust Charity which provides Humanitarian aid and support to people in need, irrespective of their caste, creed or religion. 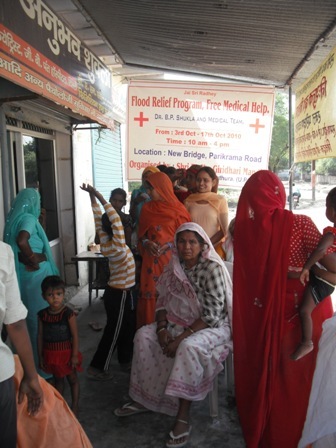 The charity relies totally on donations and needs a minimum of £700 per month to fund the free Medical clinic in Vrindavan, India. This money goes to providing a doctor and free, good quality allopathic, homeopathic and Ayurvedic medicines to poor people in need. Every day there are queues of people who have come from miles around to receive free medical aid and living supplies (e.g. blankets in cold weather, clothing, food etc). We really encourage you to donate a regular monthly payment, according to what you can afford each month. A monthly direct debit is easy to set up via the donate button below... it just takes a few seconds. Your money is buying medicine, paying for a qualified medical doctor and nurses salary, food and clothing for people in need. Please give generously... either a one off donation or a monthly contribution... every little helps. Please use the Paypal, secure button above to make your donation. There is also the option to set up a regular monthly payment via paypal to the charity. It only takes a second to do. Even £2 per month will be of help to the charity. All of your money goes directly to the charity... no one profits... it is all Seva (service). The Doctor and Nurses do receive a very basic salary for their work. 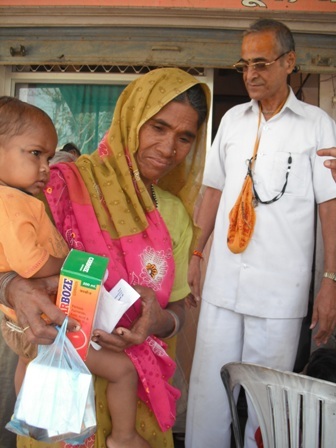 "We would like to give tonic to the mothers and children here who are very poor and suffering malnutrition. However, at present, this is beyond our budget. It would cost only £10/ mth more to provide this service"